A2Z Environmental Group provides the highest level of service available in the industry at competitive prices. We are large enough to meet the needs of contractors, commercial customers and homeowners, yet small enough to provide personalized service. We guarantee prompt service, friendly drivers and a commitment to customer satisfaction. 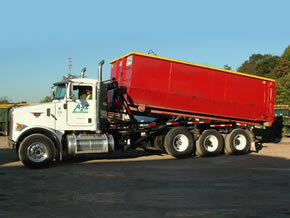 We offer both on-site loading, using our own employees, and delivering a container for customers to load themselves. We have multiple roll-off trucks, as well as numerous roll-off containers and dumpsters for rent of varying sizes available. 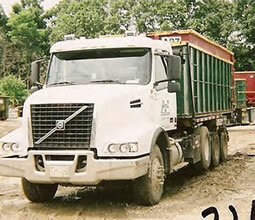 A2Z also has roll-off trailers and demo trailers available as needed. Sea Containers are available for on-site storage. Our prices for roll-off containers are quoted on an individual basis depending on content, number of containers needed and location of job site. We provide same-day service and can usually deliver a container to a job site within several hours of receiving the call. A2Z was contracted by the Housing Authority of Baltimore City, doing business as HABCO to provide 30 yd containers and to haul demolition debris on a as needed basis. A2Z Environmental Group: Serving the Baltimore Metropolitan Region: Anne Arundel County, Baltimore City, Baltimore County, Carroll County, Cecil County, Harford County, Howard County	and surrounding areas.